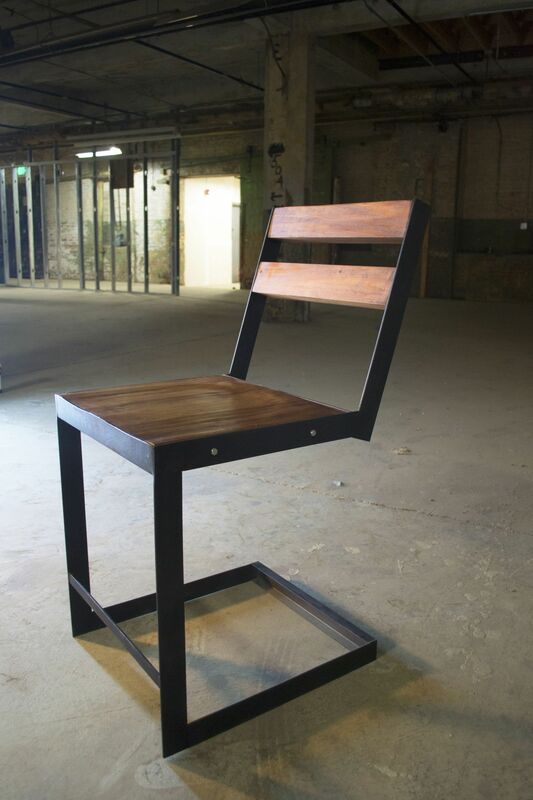 An Industrially inspired Chair made from enamel coated Steel and Reclaimed Long leaf Southern Pine salvaged locally here in Baltimore MD. This product has been Tig welded and Lag bolted together. 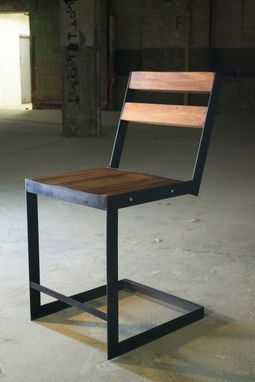 The seat and backrest has been carved for comfort and hand scraped to an velvety smooth finish! All steel is finished with a clear coat for protection and all wood is finished naturally with danish oil. 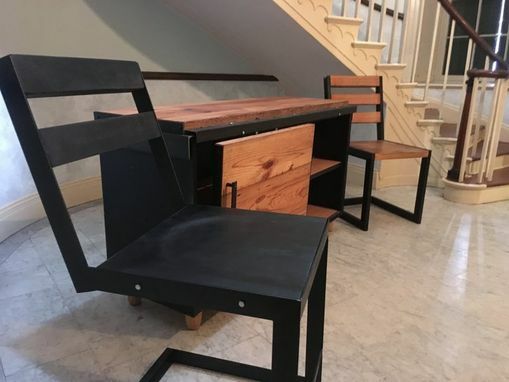 This chair stands 39" tall to the back with a seat height of 21" and 18.5" wide with a similar depth making it a great bar chair or high chair. Includes a conveniently placed toe-kick to rest your feet on and the cantilever frame makes for just the right amount of bounce in the seat. This piece weighs approximately 36 lbs. Note: These are true, industrially inspired products, so they are heavier than typical furniture. 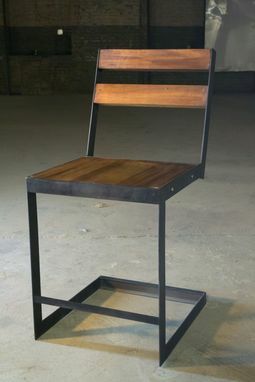 All furniture is made to order by hand so please allow 4-6 weeks for your order while we make your furniture for you !